06 Şubat 2019 Çarşamba 18:02 - 9 reads. England has a total of 160 registered distilleries, against 150 in Scotland. And it goes strong in the Uk, where 31 new distilleries opened in 2018, compared with 11 new in Scotland. A total of 361 distilleries are there in the Uk. A big part of the new distillers is gin producer, as it is relatively easy and fast to produce and does not require storage, as whisky. Whiskey takes a minimum of 3 years of storage before it can be sold as whisky. Traditionally, Scotland has been the big brother in relation to England as the country is known for its well-known scottish whiskymærker but also gin Gordon's, Tanqueray and Hendrick's. 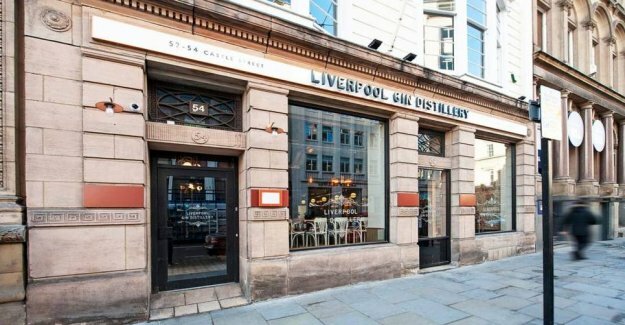 A number of the larger new distillery is Liverpool Gin's city centre bar and distillery, The Surrey Copper Distillery in Dunsfold, John Crabbie & Co in Edinburgh, The Macallan's new distillery in Speyside and Hayman's Gin Distillery in Balham. Also a number of new visitor centre is opened: Douglas Laing & Co.’s Clutha distillery, Aber Falls’ visitor centre in north Wales, Manchester Gin's city centre distillery and Ardross distillery.